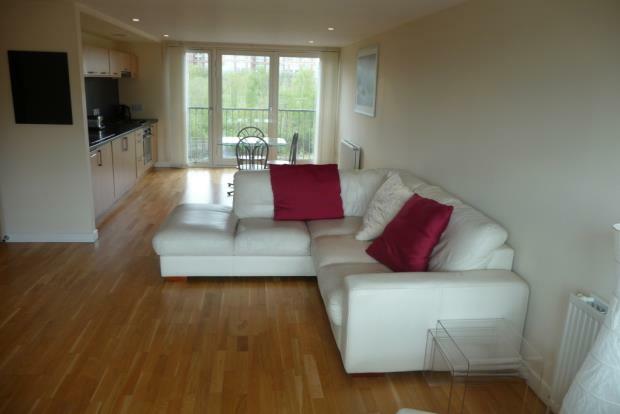 Situated in this modern two bedroom apartment located in this popular College Heights development in the Merchant City. Comprising of reception hallway with hard wood flooring which has a small utility area just off it. The living space is a a generous size and combines the lounge, dining area and modern fitted open plan kitchen which has an integrated fridge/freezer and gas hob/electric oven. There are two double bedrooms and the master benefits from ensuite shower room. The family bathroom has a three piece white suite. Further benefits include gas central heating, double glazing and secure entry. This property is offered furnished. Located in the Merchant City this property is within walking distance of plenty local amenities including Argyll Street, Merchant Square and High Street train station.